So what is this amazing package? Before I let you in on the details, let's take a look first at some real results. Maybe you might understand what I mean when I say "subtle enhanced". 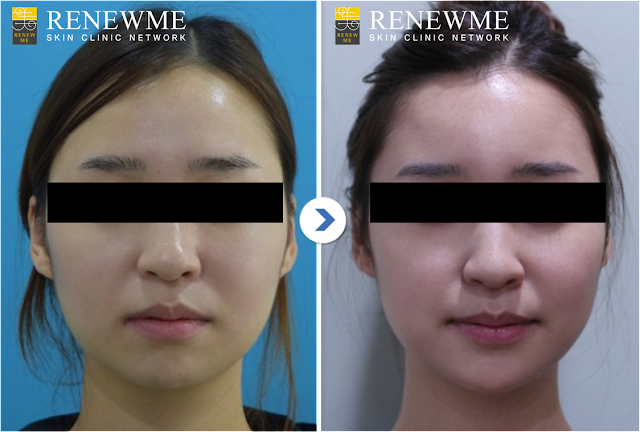 This patient has the same beautiful face, yet in the after photo she looks a little more defined, feminine, sophisticated... or is it just me? In any case you should definitely be able to tell some slight improvements, although she was already quite pretty from the start. 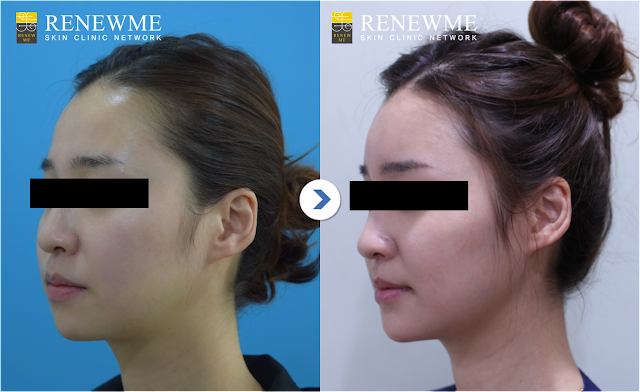 The main treatments for this magic: Shurink HIFU and dermal filler! Shurink uses ultrasound to deliver energy deep into the skin without disrupting skin tissues, and gradually increases collagen formation for natural lifting effects. 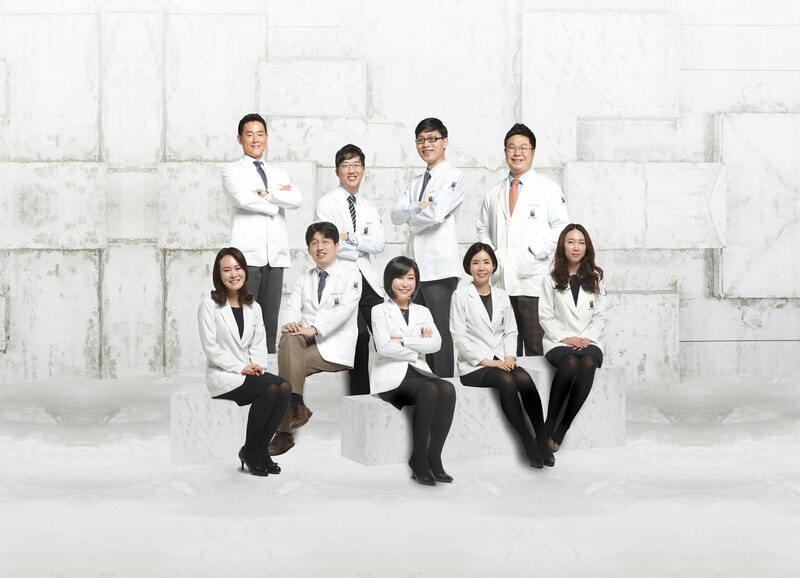 It's a highly recommended treatment for sagging and aging skin, but also for those who want to firm the skin or give it a little boost to prevent aging in the future. Collagen can also help improve the skin condition in general; in addition, the lifting effects can help contour the jawline to give you a sharper look. Hyaluronic acid is a substance that already exists in our bodies, but decreases with age. HA has high water containing capacities so works as an excellent moisturizer; but one of its common uses is to replenish volume naturally in the face. Dermal fillers can apply to pretty much any area of the face: cheeks, chin, under-eyes, forehead, temples, nose bridge, etc. This package would entail 2 syringes in the forehead and 1 syringe in the chin. One syringe is actually one cubic centimeter, so for those of you who think "I don't want any huge, dramatic, obvious change," you really don't need to worry. Firstly, one cc is not as large as you might think. Secondly, results from filler, like the photos above, are so natural - what's even better, there's no swelling or downtime either! What else might be included in this package? Also known as cryo-eletrophoresis, Cryocell delivers vitamins and nutrients to frozen skin by using electric currents instead of needles. This treatment contracts the blood vessels to prevent them from absorbing the solution, making results longer lasting. Cryocell is most often combined with other laser treatments since it has cooling and soothing effects that help the skin recover more quickly. A dry mask paper sheet is cut to match your face, after which it adheres once water is applied. The texture feels velvety, hence the name. This is a high-quality mask not readily available at your local cosmetic shop - it requires at least 30 minutes of application and has amazing moisturizing and additional whitening effects as well. 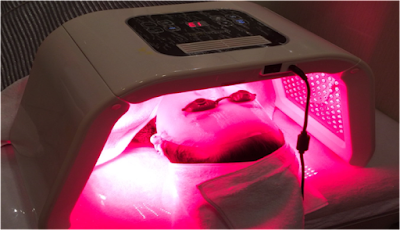 LED therapy has soothing and calming effects after laser treatments. It can be used to treat inflammatory acne/skin, breakouts, and just prevent any irritations or swelling. An excellent way to end a series of package treatments! A cosmetic product set originally worth 132,000 KRW includes intensive moisturizer, sun screen, and 10 sheet masks to maintain your good skin even after you go back home and resume your daily working life. So how many things were just mentioned here? A full cocktail treatment package as mentioned above will cost 2,500,000 KRW total. Don't miss out on this deal, especially when the results are this satisfactory! Don't forget to contact us today for consultation.